The world was his playground. In the two-plus years that Colton Harris-Moore was on the run, he allegedly stole five planes, several cars and boats, and cash from homes and businesses. The one thing he failed to steal? Shoes. The "Barefoot Bandit" was true to his name until the very end. As authorities in the Bahamas took him in on July 11, 2010 (following a moonlit high-speed boat chase), ankle shackles adorned his noticeably bare feet. Harris-Moore had eluded capture since 2008, when he escaped from a halfway house in Washington State. Since then, he was accused of committing more than 100 robberies. For the last leg of his journey, on an airplane he is said to have flown from Indiana to the Bahamas, he traveled more than 1,000 miles  despite never having received flight training. He supposedly learned everything he knew from the Internet and flight manuals. The teenage bandit is likely to be charged with property theft and illegal entry into the Bahamas. He may also be extradited to the U.S., where he could face 15 years behind bars. 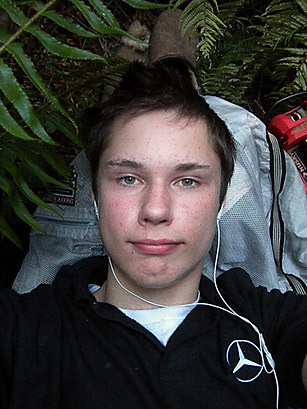 Read "Could Conviction Mean Big Bucks for 'Barefoot Bandit'?"